With pretty sparkling edges, our elegant Engraved Crystal Hexagon Ornament is ready for your personal message! Measuring 3" high by 2 3/4" across, this hexagonal shaped ornament features beveled edges, which catch light and sparkle from Christmas lights on your tree. 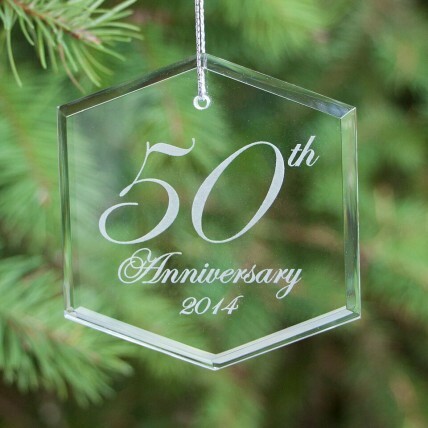 Add a free personalized message to this ornament to create a special holiday remembrance.